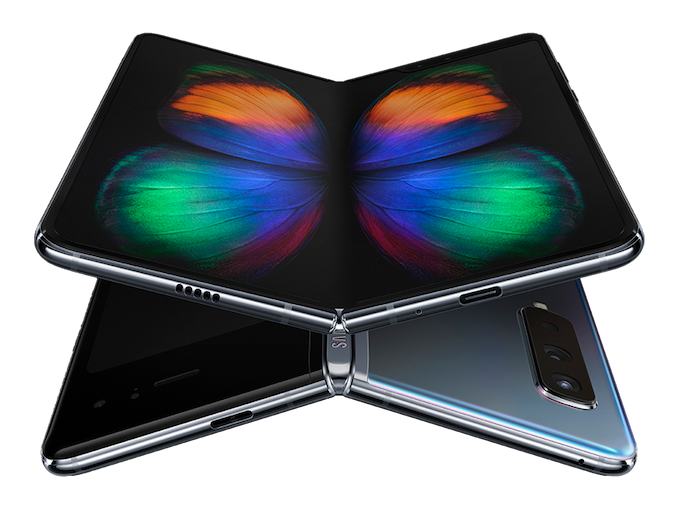 Samsung UK said on Monday that its flagship Galaxy Fold smartphone will hit the UK market on April 26. The foldable handset will be available directly from Samsung online and retail stores as well as from EE. 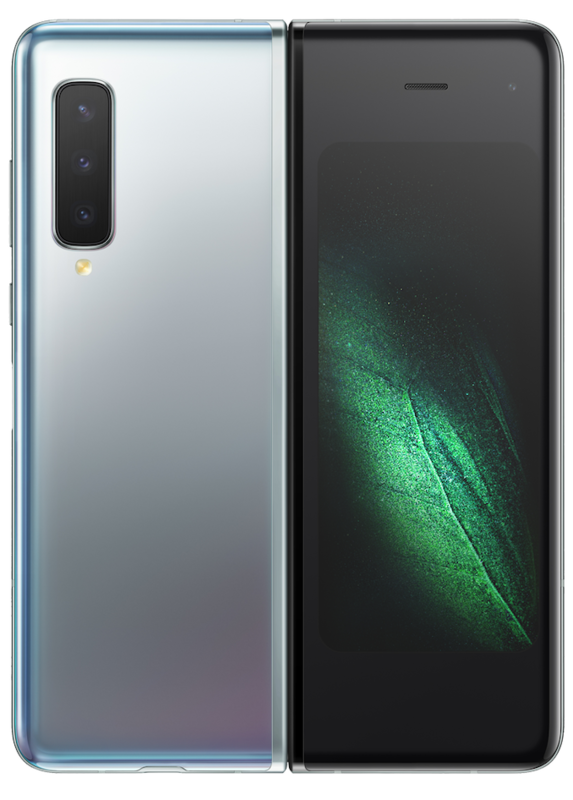 The main feature of the Galaxy Fold smartphone is its dual-screen form-factor: the device has a 4.6-inch cover display and a foldable 7.3-inch main screen. Besides the foldable AMOLED display, Samsung had to develop a durable mechanical hinge that the company claims will survive for years. The handset is based on Qualcomm’s Snapdragon 855 SoC that is accompanied by 12 GB of LPDDR4X RAM as well as 512 GB of UFS 3.0 NAND flash storage. Besides the two screens, the Galaxy Fold smartphone also has two batteries with a total capacity of 4,380 mAh. Meanwhile, just like the Galaxy S10, the Galaxy Fold has premium imaging capabilities. The main camera comprises of a three-stack 12 MP RGB sensor with adjustable aperture, a 16 MP wide angle module, and a 12 MP telephoto module. Besides, the phone has a 10 MP selfie camera. 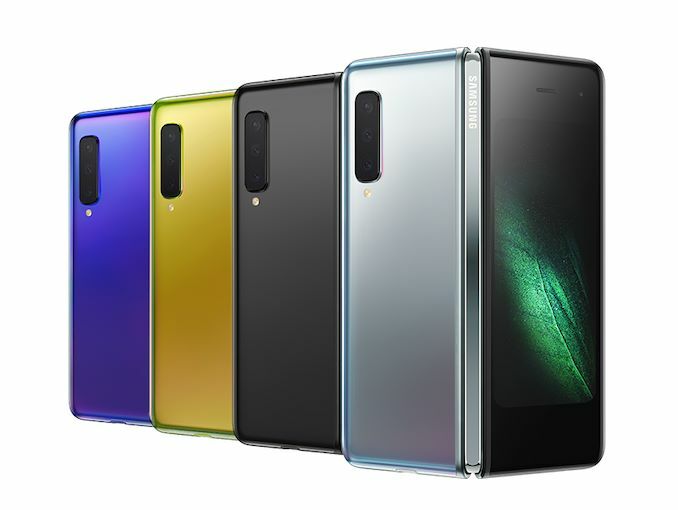 The Samsung Galaxy Fold will be available from Samsung at a recommended price of £1,799. EE will announce its price separately. The handset will be bundled with the Galaxy Buds and a protective Kevlar case. In the US, the smartphone will cost $1,980. The Motorola MicroTac (first flip phone) was $2500 in 1989. Inflation-adjusted that's $5100 today. The Motorola StarTac (first clamshell phone) was $1000 in 1996. Inflation adjusted that's $1650 today. The phones you mention as an example represented technological breakthroughs in multiple practical aspects. They didn't cost that much because they could fold (or flip). They were some of the first examples of mobile telephony, an almost untapped field at the time. The current crop of foldable phones are no breakthrough as far as the phone is concerned. It's still a regular phone with a screen that folds. And while that in itself is an achievement, it is not in the same practical vein as the ones above. I just highlighted that the comparison to phones like MicroTAC and StarTAC is not really appropriate.